major & minor workers & queen described (see Bolton, 1995). 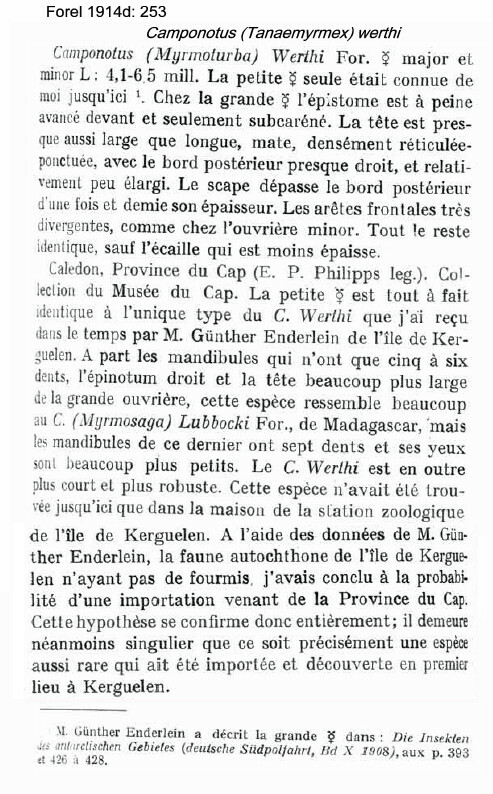 Known from various localities in South Africa - its presence on Kerguelen presumably was as an immigrant, as it was found only in the house used by the explorer, Dr Werth . 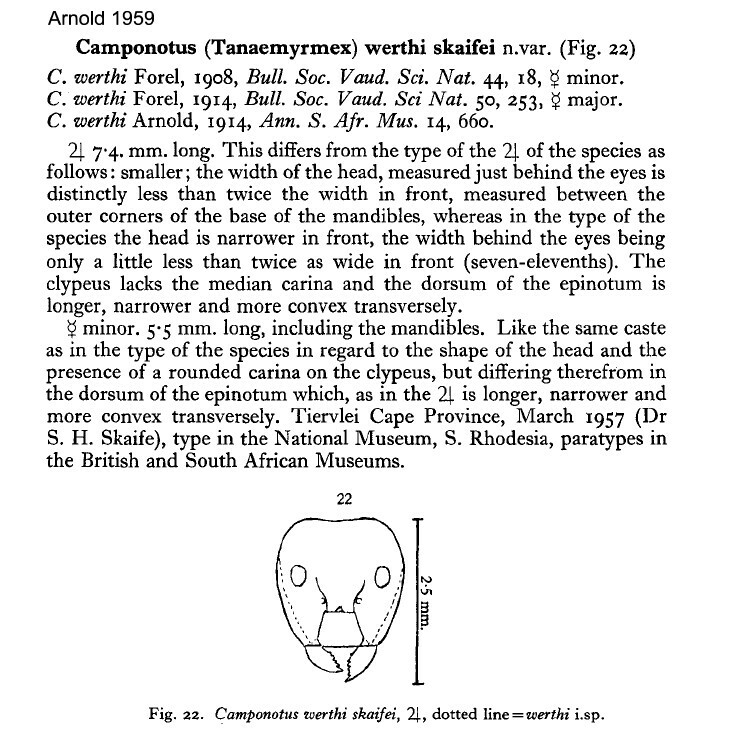 Forel's (1908a) description is at . Forel's (1914d) description is at . Arnold (1922) gave a translation and description of the queen; these are at . 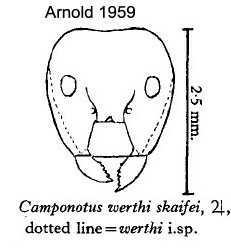 Arnold's (1959) description of skaifei is at . 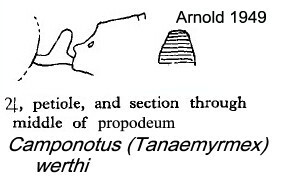 Arnold (1949: 227) gave an illustration of the soldier pedicel area. 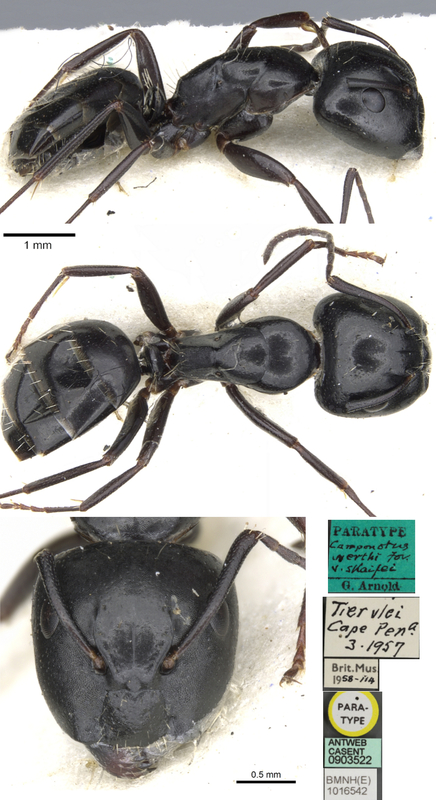 The photomontage of the type minor worker is collated from http://www.antweb.org/specimen.do?name=casent0906919. The photomontage of a minor worker is collated from http://www.antweb.org/specimen.do?name=casent0906919. Listed by Arnold (1922).